A butcher’s son is out to prove his bangers are a cut above the wurst with his own street food project. Are you zealous about your sausages? Do you love a Lincolnshire, or crave a Cumberland ? Well this might just be the perfect job for you. The organisers behind British Sausage Week, today announced a vacancy for a ‘Senior Sausage Selector’. The biggest sausage celebration of the year gets underway from 31 October – 6 November 2016 with the 19th annual British Sausage Week. Can technology ever go too far? In this article more detail on a robot capable of adding sizzle to your BBQ. 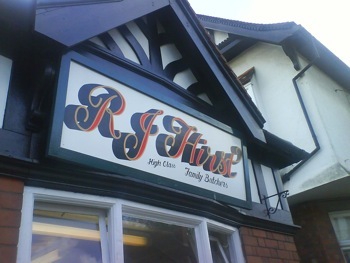 As a massive fan of R J Hirst in Woodhall Spa I was delighted to see that Prime Minister Theresa May is also a fan of their sausages. Next Saturday’s Taste of Grampian festival will now include an attempt to set a new Guinness World Record for the most sausages produced in one minute.